Turn left at the four-way intersection onto Hathorn Road. You will see the softball field on the right and the soccer field on the left. At the bottom of the hill is a round-a-bout. 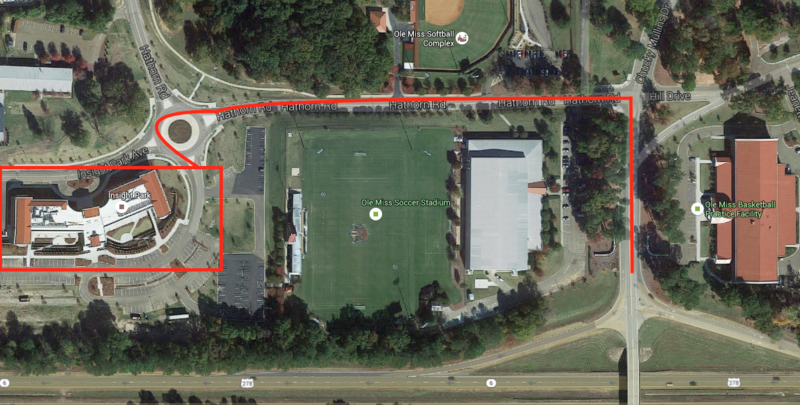 Continue through it and exit right (adjacent the soccer field) to the back of the building. The first sidewalk bridge leads directly to the NMEC suite. Once you enter the building, turn right. Suite 253C is the last room on the left; look for the blue U of M School of Education mat. Turn left at the four-way intersection onto Hathorn Road. You will see the softball field on the right and the soccer field to your left shortly after.